We are proud to offer our furry friends a fun and convenient way to get to their activities at Red Dog! 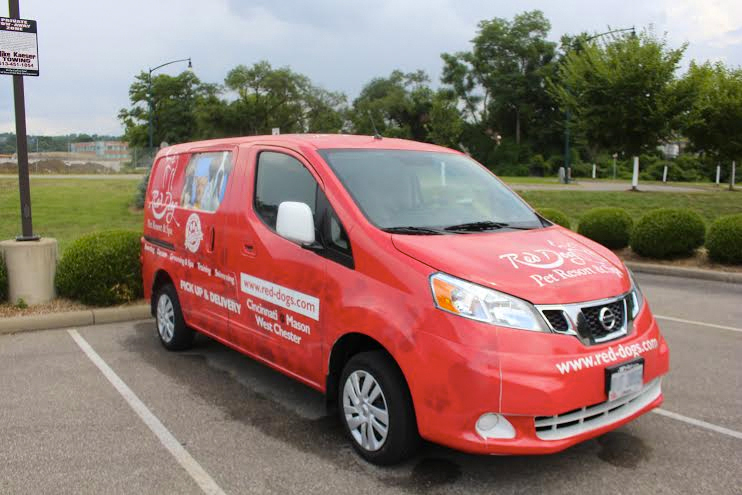 Your best friend can ride in style in our Red Dog van with our Pick Up and Delivery service within the greater Cincinnati area. Pick Up and or Delivery is offered during our regular business hours. Please call 513-733-3647 to schedule and for pricing.